Matching my nursery theme! 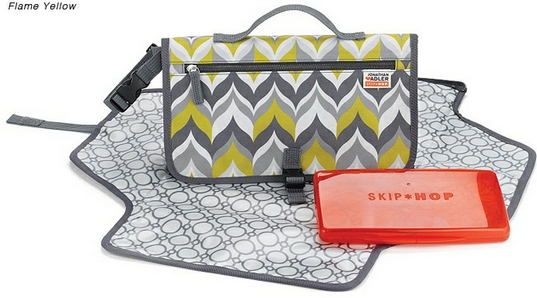 This pouch is a diaper changer that converts any style of bag into a diaper bag. Or it’s a punch of color for those who went with neutral colors on their diaper bags! Giveaway is sponsored by OpenSky and ends at midnight, tomorrow night, 5/30. Winner will be announced at the bottom of this post in the following days. I follow you on OpenSky! We love our Aden blankets. Good for everything! And I love my grass drying rack. Already follow you! Any of those items would be ideal for our new baby coming this August. I follow you on OpenSky! I follow you on OpenSky and would love to win! I actually own all 3 of these items and they’re some of my favorite baby gear for my 3.5 week old daughter. 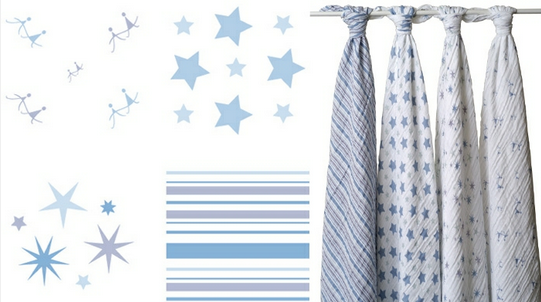 I’d love more Aden + Anais swaddle blankets, as they’re the perfect weight for summer. I’ll likely give the rest to friends and family having babies later this year! These would make fabulous gifts for my best friend who is expecting! I especially love the blankets. Hi! I follow you on OpenSky and would love to win! We are trying to for baby #2 and any of these items would be great to have! I follow you already and I would love love love to have some more of the aden and anais blankets. We use them for everything. Already following and would love the blankets (and diaper changer) for my first baby coming just a few weeks after you!!! I just signed up for OpenSky – it’s new to me as well, so thank you for mentioning it! I’ll be 10 weeks tomorrow and am getting more excited each day as I discover awesome new baby items. There’s so much to choose from! I am 29 weeks pregnant with my first and would absolutely love to add these great products to my stash of baby gear (especially the drying rack – so fun!). I just signed up for Open Sky and am now following you! We LOVE our swaddle blankets and would love to have more! Ours are so well loved that some of the corners have gotten holes from so much swaddling! I am due August 4th with my first (a little boy!) 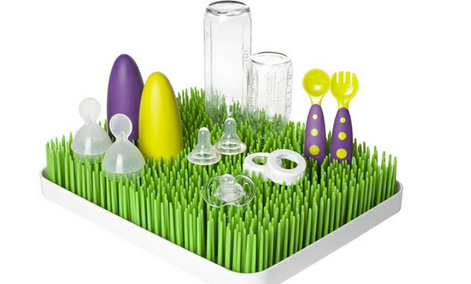 and would love to win this giveaway – these are all great items that are functional AND cute! I also already follow you on OpenSky. Thanks! pick me! i follow Kath on OpenSky! I follow you on Open Sky and have been assured those Aden and Anais blankets are worth mounds of gold! I’m an open sky member…. I should check out the baby stuff on there! Why have I not thought of this?!?! Love the a&a blankets! We use them for everything and you can never have too many! I also love the peace of mind I get from knowing tbey are breathable! I’ve also been debating purchasing that drying rack! I do follow you on Open Sky and love what I have ordered in the past. Those blankets are adorable!! I follow you on Open Sky and I’ve got my fingers crossed in hopes that I can win these! Such a fab giveaway! THANKS! I love the drying rack! So cute!! I already follow you on Open Sky. Thanks! I follow you on open sky and love the new baby products! I follow you. I love the blankets and am crossing my fingers I win. I just had a baby 8 days ago! Love those blankets! They are great, my almost 2 years old still loves them. I follow you on Open Sky. I would love to have these products- many are on my baby-list! I follow you and I’m expecting our first babe in 4 short months! I follow you on Open Sky already. Any of these would be great to have – my husband and I are trying to conceive our first first now. I love that the bottle dryer can actually sit out on your counter and look cute. I follow you on Open Sky! I was due YESTERDAY and would love to win this! Haha good luck to you this week! I’d like to be entered, and I already follow you. I am due right after you and love some of these products. I am following you on open sky and would love to be entered, YAY! Hi! I follow you on Open Sky and would love to win these goodies. I’m 34 weeks today so I am kicking into total nesting and stock-up mode to finish preparations for this baby girl! I already follow you on OpenSky and would love to be entered! I follow you on opensky! Would LOVE these items for baby #1 due 8/18!!!! I just followed you! Awesome. Already a member of OpenSky and following you. Would love to win these items for my 6 week old! I’d love to win these items (which all happen to be on my registry) for my October baby! Following you on open sky! I would love one of these items! Thank you so much for the opportunity, OpenSky! I follow you on Open Sky and I love that grass !! I need that. I follow you on opensky and love your blogs! I already follow you and would love to win! I already follow you on Open Sky. I am 14 weeks and haven’t bought a single baby thing yet or registered but love all these items! Follow you on Open Sky and due with my first about a week or two before you are! I follow you on OpenSky, and I would love to be entered in this giveaway! I am already following you and I would love to be entered. I already follow you, this would be so awesome to win for our little baby boy due this October! I follow you on open sky. Please enter me! I already follow you on Opensky and would love to be entered. Thanks for a great giveaway! I follow you on open sky! 🙂 I would love to win for our newest baby too. I just started following you on open sky. I follow you on Opensky. These are great baby items! I just became a new mom and I would love to win them! I’m already on opensky & would love to win this for my sister! I’d never heard of Open Sky before reading your blogs, but I’m certainly willing to check it out for a shot at my favorite swaddle blankets! I already follow you and would love to win! Great shower gifts. I just followed you on open sky. I have been reading your blog for awhile. 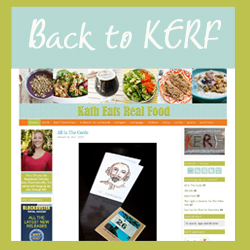 I am due in November and really love reading baby kerf! I would love to win!!! I follow you and would love to be entered! What a great giveaway! I would love win!! I follow you over on OS and would love the A&A blankies! already following on open sky….i would love these for my sister-in-law who just had a baby girl! Done. Did the Open Sky thing. I hear those swaddle blankets are pricey – would totally love to win them! I’m a follower already and would love to win! I follow you on Open Sky and would love to win these! I already follow you on Open Sky and I would love to be entered. I am 31 weeks pregnant, so I would especially love to win! Thanks for the great giveaway and I hope you are enjoying your vacation! I’m following you now on Open Sky and would love to be entered to win! I am due August 13th with a baby girl! I follow you! And obviously, I need all this, since we are pregnancy twins. I’d love to win. I’m expecting our first and due in November. Ooooh! Fun! I am already a follower of yours on opensky and would love to be entered! I’m expecting my first baby in October and would love the blankets! I follow you on OpenSky and would love these, I’m due at the end of November! OK, signed up for open sky! I would love this for my baby due this fall! I already follow you on Open Sky. I am 33 weeks pregnant and would love these!!! that drying rack looks really bad for mold/mildew build up. We have similar drying racks in our lab and its nearly impossible to get the microbes from growing in the “grass” crevices. just fyi. I’ve followed you on OpenSky for a long time! Hi Kath and Baby Kerf! I’ve actually been following this blog since my friend sent me the link when I was about 15 weeks pregnant. I was still feeling pretty sick at the time and spent about two hours reading all the back entries and laughing. Turns out you and I are due within a week of each other and are having almost the exact same pregnancy – runner turned walker, morning sickness battle, loving yoga (thanks for the recommendation! ), SI Joint pain and I *think* I’m having a boy though we aren’t finding out. 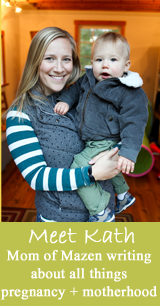 It’s been so fun to follow you and your pregnancy adventures on your blog. Keep up the great work! I’m also now following you on Open Sky and would love to be entered in the giveaway. I’d like to be entered! Kath you look adorable! I’ve been following you on opensky, and would to be entered to win! I also follow on Open Sky and would love to be entered and win any of the great items! I follow you on OpenSky! Great selections! I love and need all three items! Especially the swaddling blankets – I have yet to bring myself to spend the money on those, but I will need them in 15 weeks! And I already follow you on OpenSky. I already follow you on Open Sky. Didn’t even think about them selling baby products, too! I follow you, and would love to win! I follow you on Open Sky and I am having a baby in 8 weeks! These items would be great. Thank you for the chance to win! I follow you on Open Sky…..AND these Aiden & Anais blankets are ANAZING! Would love to get these! I’m due June 28th 🙂 I’m following you on OpenSky! I’d love to win this to share with a few new mom friends. I’ve been a Kath follower for months. My sister is due 4 weeks before you and she’d love any of these!! Thanks, Katherine! i already follow you on open sky! we are due with our first September 14th – any of these wonderful products would be SO NICE to have in our home! I have a new great-nephew born yesterday and would love to win one of these products for him! I already follow on OpenSky. Just started following you. I love the blankets–I’ve heard nothing but good things about them. I’m due October 20. I alway follow you on open sky, so glad you are adding some baby items, I am due with our first Nov 2! I follow you on OpenSky, please enter me! That changing pouch is sooo cute! Hi Kath, I follow you on Open Sky and am expecting my first baby in December! Please enter me! Id love to be entered! Would love to try these out! I’m already following you also. I follow you on Open Sky and would love to be entered. I follow you on Open Sky-I’d LOVE to win this giveaway! I follow you! The drying rack is sooo cute and unique! I follow you here and on Opensky. I have a baby already and would love these! We are expecting a little girl in September and all 3 of the goodies you mention would definitely come in handy! Somehow I was not following you anymore on OpenSky–just reconnected with you! Thank you for hosting such a great giveaway! I already follow you, Kath, and would like to be entered, please! This giveaway is perfect! I already follow you on Open Sky. I just signed up for Open Sky and am following you. I would LOVE to win- I am 34 weeks pregnant and these are all things I would love to have! I follow you on Open Sky. Thanks for the giveaway! Baby products are so fun. I’d love to win! I follow you and would love to win any of these things for my next child next year! I have a few of the A&A blankets for my son and they are absolutely wonderful. Very soft and light for those times when baby needs just a little bit of covering (breezy or sunny days), and perfect for swaddling at night during that couple of months when baby doesn’t need super tight uber-newborn swaddling anymore but isn’t quite ready to go 100% unswaddled yet. They’re also just great to leave stuffed in the diaper bag for random uses. I follow & all these products would be great! I am new to Open Sky but look forward to shopping. I am due in October with my first child and would love to win. Would love to win all these…could use them all with my 3-month old little gal. I follow you on Open Sky! I follow you on OpenSky! Would love that neutral color! I follow you on Open Sky… What an awesome giveaway! I’d love to gift these to my brother and his wife, upon the arrival of my first niece in September! I just added you to my Open Sky account. Thanks for hosting this awesome giveaway! Follow you on OpenSky & love these 3 items. The blankets are one of my go-to gifts – hope I win! I created an OpenSky account and connected to you on there. I hope that was all I needed to do! All 3 are great giveaways! I follow you on opensky and would love to be entered. All three are awesome! Thanks! Open Sky is such a cool idea. I am all about reading reviews, so when I can browse through “collections” of items that come recommended from bloggers, I’m in heaven! I am now following you on open sky 🙂 These are great giveaways! Awesome products! I am a follower on open sky. Please enter me. I’m 13 weeks pregnant with my first child and I’d love to win! 35 weeks pregnant, almost there! Have had my eyes on these products but with setting up space for our daughter, have yet to purchase them. Would be nice to win! Good luck to all! Already on OpenSky, but wasn’t following you. Now I am – I wasn’t sure if I still had to comment to get added to the contest or not! Following you on open sky! Awesome giveaway. My best friend is expecting her first child in 2 months. Would love to give her these items. I already follow you and love OpenSky!!! Just signed up and followed you- I actually have some of that stuff on our registry- awesome picks! Enter me, please! I am due 7/16, so it’s been fun following you! Best blankets EVER! Plan to give for every single baby gift/shower from now on. And grandbabies. Follow you on Open Sky. I haven’t even started my registry yet. yikes. I follow you on OpenSky! All these items are so darn cute! I am due mid-November and have just started to look at all the things I need to register for to get ready. I follow you on Open Sky and can’t wait to look around there for baby things. The blankets and changer look great! leaving another comment as per request on the double entry! I want to be entered in the giveaway! Already following you, but would love to be entered! I just joined OpenSky. I think I will now be addicted. I have been reading your blog for months and love it.